It's safe to say that I love food. Do you love food? I especially enjoy local, vegetarian cuisine. 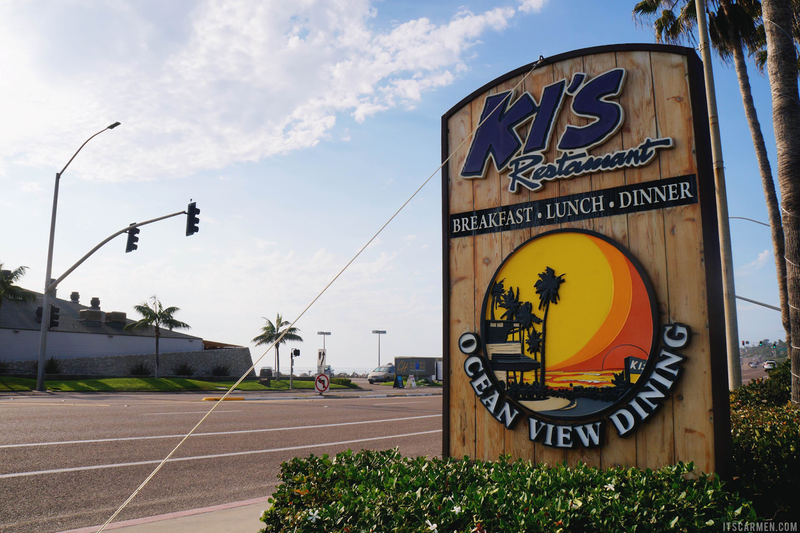 Ki's Restaurant* has been in business since 1980 & has grown tremendously over the years. 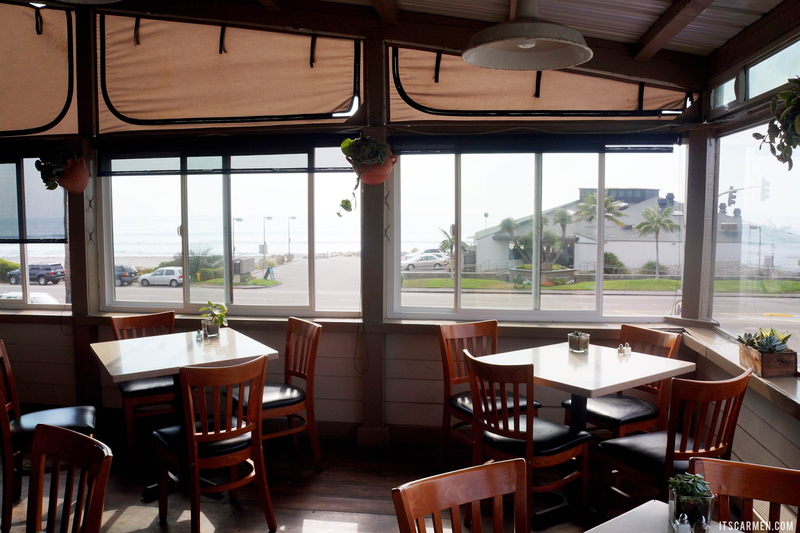 Their two-story location in Cardiff-by-the-Sea, California has a splendid ocean view. My boyfriend, Fred, & I cruised in for a bite to eat. 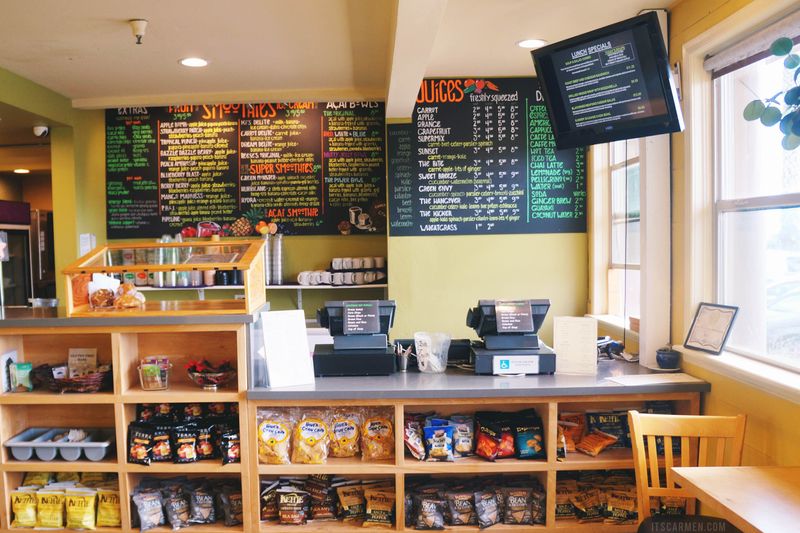 They have breakfast, lunch, & dinner menus depending on your arrival time. For lunch you order downstairs; dinner is full service. I drooled over the variety of vegetarian items. They literally had an entire vegetarian menu. Now that's what I'm talking about! The more options the merrier, that's what I always say. It's such a joy to have multiple foods to choose from instead of one boring veggie burger. 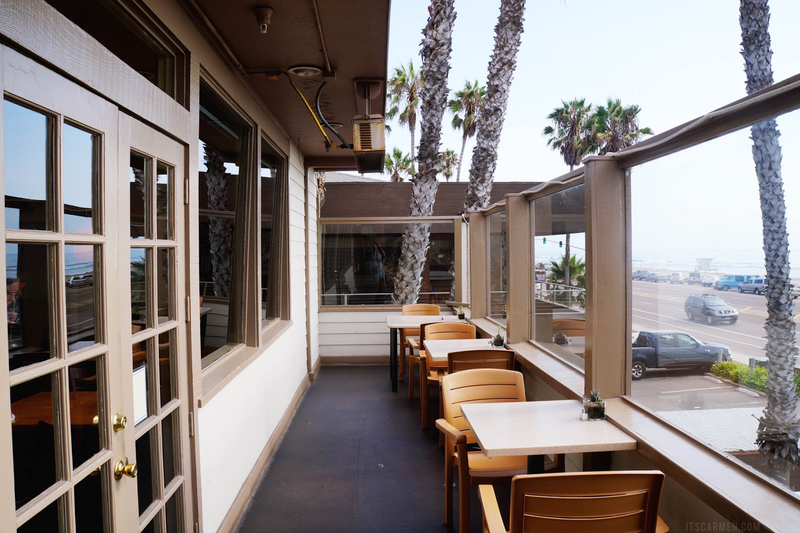 Feel free to pick the upstairs seating options from the covered patio, indoor dining, & their balcony. We chose the covered patio because the outside heat from the California summer sun was a bit too much to bear. We ended up selecting the Spicy NomNam Bowl which includes lettuce leaf, rice noodles, basil, cucumber, pickled carrot & daikon, nut mix, cilantro, Thai peanut sauce, & Sriracha. You get the option of tempeh or tofu; I chose tofu. 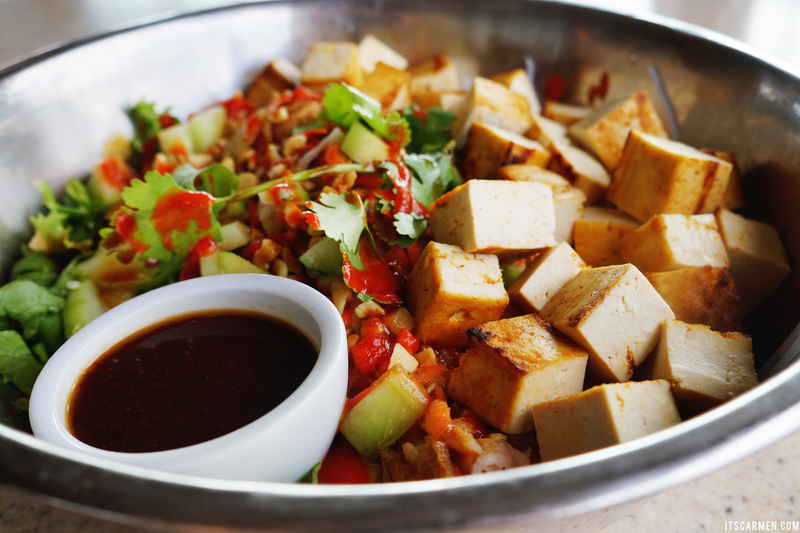 The NomNam Bowl has a medley of flavors with a spicy kick from the Sriracha & a nutty sweetness from the peanut sauce. The variety of textures & flavors leaves your mouth watering for more. It's a unique & powerful bowl unlike any I've had before. For $9.95 this is a remarkable deal. I highly recommend it! Next up on the taste test was the Roasted Tofu Sandwich with roasted tofu served on a seeded baguette with tomato, lettuce, & chipotle mayonnaise. The simple sandwich is vegan & absolutely glorious with the tofu twist. I enjoyed the firmness of the tofu. The sandwich satiates you & stays together. No sogginess here. The Roasted Tofu Sandwich came with one side. You could choose a cup of soup, garden salad, corn chips, beans & rice, or coleslaw. I chose the vegetable soup which is a family recipe from Ki herself. I was impressed to find out it includes 13 vegetables. 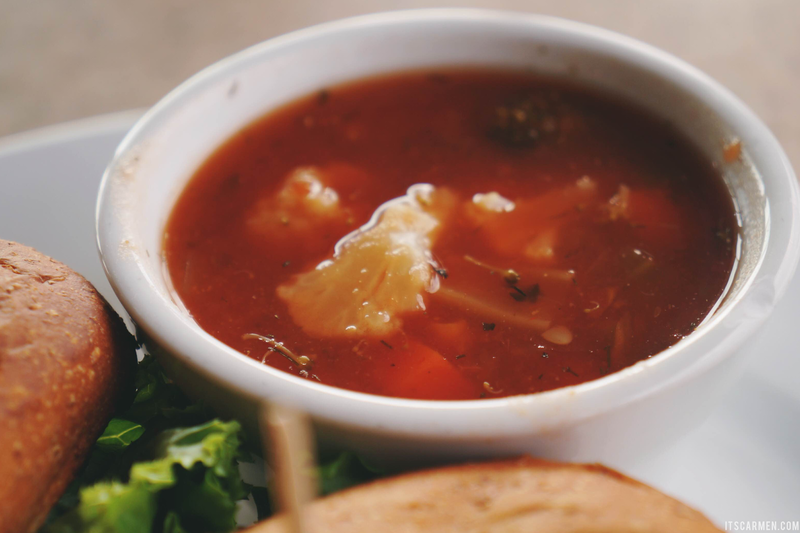 It's kind of like minestrone but with a little bit more depth. I loved the hint of flavor from the dill. The sandwich & side retails at $10.95. As a drink, I ended up getting the Peach Ambrosia fruit smoothie. 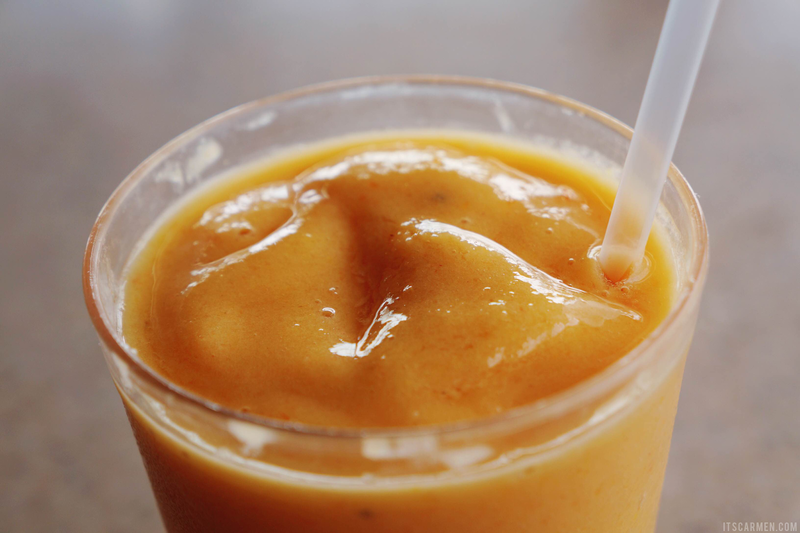 The smoothie is made from fresh orange juice, pineapple juice, peach, papaya, & banana. I liked the little chunks of papaya & the thickness. I got the large size which costs $5.50. The Peach Ambrosia is refreshing & rejuvenating. Overall my experience at Ki's Restaurant was exemplary. They have scrumptious food & the pricing & size of everything is well worth the cost. I'd recommend anything that I tried, but most of all the Spicy NomNam Bowl. Both Fred & I were more than stuffed & took away a little doggy bag to go. Wow! Everything looks so fresh here, Thanks for sharing such a great place. Food looks delicious... Can I have some of these please :) ? IT all looks delicious! 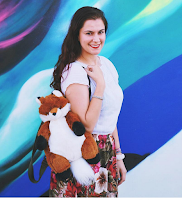 Wonderful review!!! 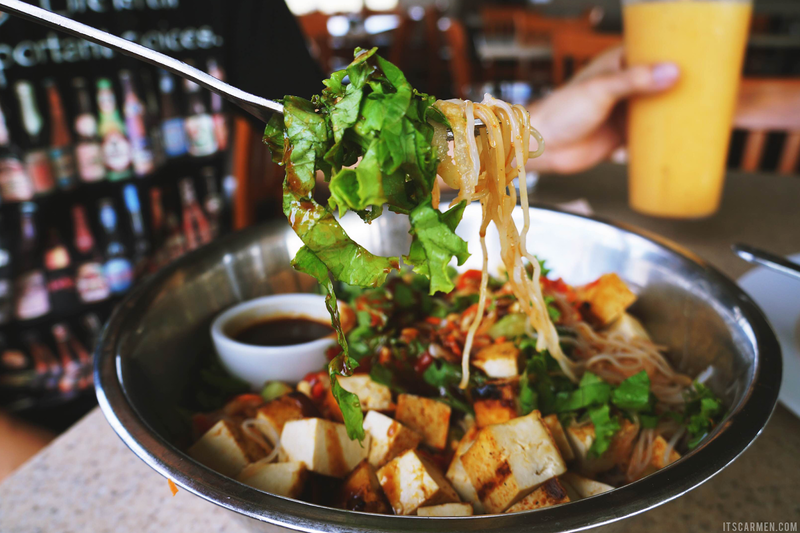 That Spicy NomNam Bowl looks amazing! And the menu looks so extensive! If I'm ever in that area I'll definitely have to stop there! Ahhh now this is my kinda restaurant- sea view and veggie food! The food looks wonderful, but I'm smitten with the interior! It's so homey and fresh, I love it! And don't you just hate it when you only get one burger option to choose from? Ahh! In answer to your question, yes I do love food, more than anything ;) This looks so so tasty, now I just need to fly out to California to try it!! 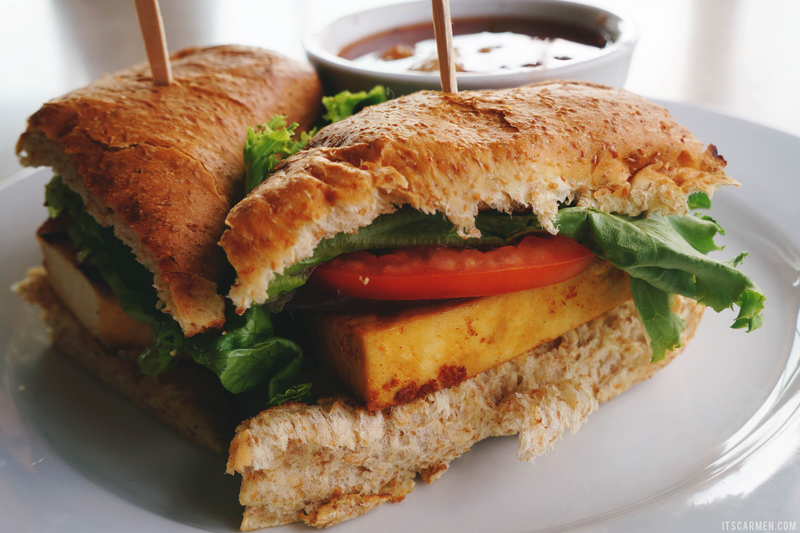 The Roasted Tofu Sandwich looks divine!! What a gorgeous place to grab some lunch! Your photos are seriously making my mouth water! I am not a vegetarian but that food looks amazing! The salad and soup especially. That looks so delicious! I like how restuarants are now having such a wider variety of vegetarian food! 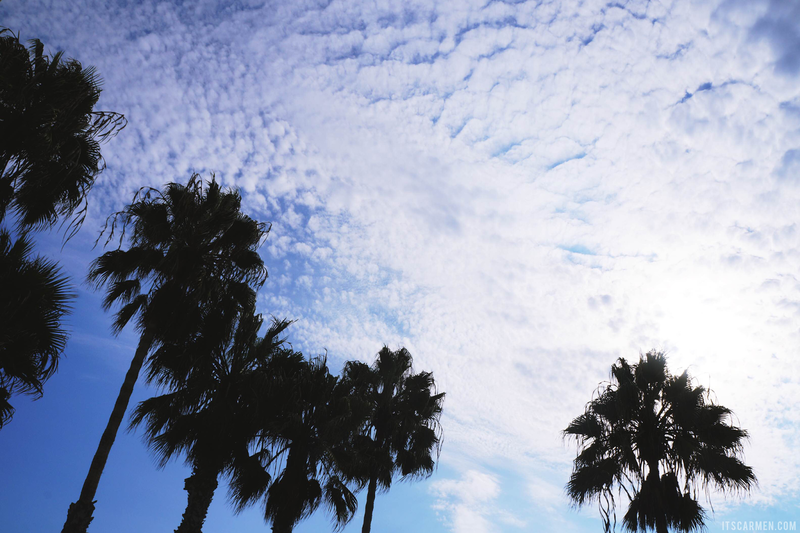 Yours looks so good, I wish I lived in california to go there sometime! Wow with that view and good food,i wouldn't want to leave haha xoxo,Bing. Food is the best thing to ever happen to me, and you have no idea how hungry this post just made haha! 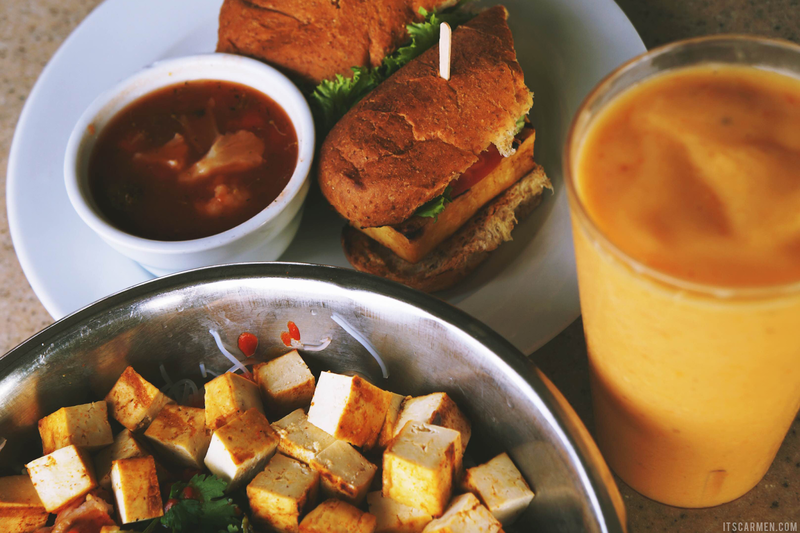 It looks so delicious, but I have to admit I'm a bit afraid of tofu?! Everything looks so tasty. I especially crave that peach smoothie. I have never eaten a tofu sandwich but would love to eat one. I'm not a vegetarian, but this place looks fab! I'm not really a veggie type of person, but guess this kind is a good start. It's like eating vegetables with a twist :) The food looking so good! I'm not vegie but this food looks amazing! Also, look at those views!! So jealous.. I love the look of the fruit smoothie, so perfect for the warmer weather!